With those words, fellow plaid dad Christian revealed that he knows just a shade more about college basketball than your ordinary garden slug. He had no idea that the NCAA Men’s Basketball Tournament was still underway. Christian’s more of a baseball guy. He loves his Boston Red Sawx. He loves baseball because it is a lazy man’s game–you sit around for half of it, and unless you’re the pitcher or the catcher, you spend most of the other half standing around waiting on something to happen. In the meantime, you chew tobacco and spit sunflower seeds. It’s estimated that two-thirds of men say they bond with their friends over sports and fitness. Christian and I both love football. He cheers for the New England Cheaters Deflaters Patriots, and I’m a long suffering Chicago Bears fan. He makes fun of Jay Cutler; I make fun of Jay Cutler. But that’s the extent of our sports common ground. We’re both overweight, we both loathe the gym, we both agree that we’re in shape because round is a shape. So while we technically fit into the two-thirds, we feel more like the 33 percent that bond over something else. What is that something else? Our families. 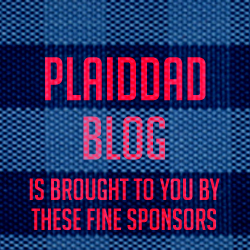 When we started Plaid Dad Blog, Christian and his wife had adopted two kids. My wife and I had three biological daughters. Now, Christian has two adopted kids and two surprise biological kids, while we’re in the process of adopting two brothers. For those of you who failed basic math, that’s nine kids between our two families. Along the way, there’s been a ton of support given, one to another. When Christian found out he and his wife were having their daughter, he freaked out. We talked on the phone several times in the days that followed, and he appreciated being able to vent. As my wife and I have started this adoption journey, Christian and his wife have been able to give us some great advice as they’ve already walked this path. He’s been gracious enough to give me a ton of slack on creating content as we adjust to having two more tiny humans live in our house; I constantly remind him that he can no longer play the “Holy crap, I’m going to murder someone because I have four kids” card because now I have five kids. 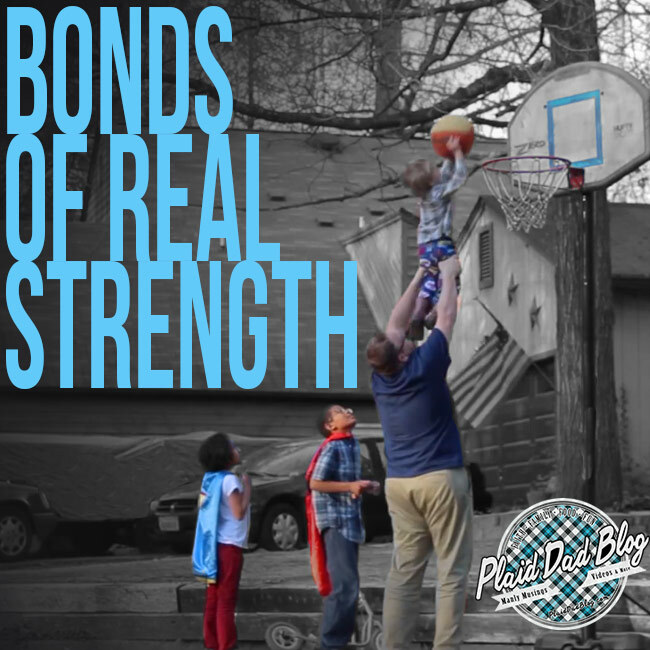 This journey has enabled us to laugh a lot, vent when we need to, and create some amazing content that we hope has and will continue to help other dads. And each of us has gained a life-long friend that we know will be there if we need support. I guess I should wrap this post up by making some sort of witty sports reference about how championship teams work together to support each other, but I won’t. If Christian and I were on a basketball team, we’d be way down at the end of the bench drinking all the Gatorade and sending the ball boy to get nachos. And we’d have one heck of a time doing it. Guys, we need to support each other. DID YOU KNOW: 74 percent of us feel that pop culture doesn’t give us enough credit for the support and care involved in our friendships. What are some things you do to support other guys in your life? Share in the comments below.